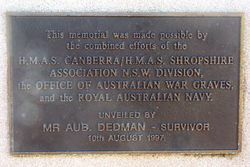 A monument commemorates H.M.A.S Shropshire and all who served in her during World War Two. HMS Shropshire was a Royal Navy (RN) heavy cruiser of the London sub-class of County-class cruisers. 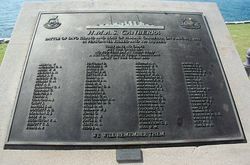 She is the only warship to have been named after Shropshire, England. 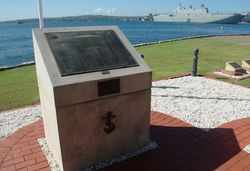 Completed in 1929, Shropshire served with the RN until 1942, when she was transferred to the Royal Australian Navy (RAN) following the loss of sister ship HMAS Canberra. 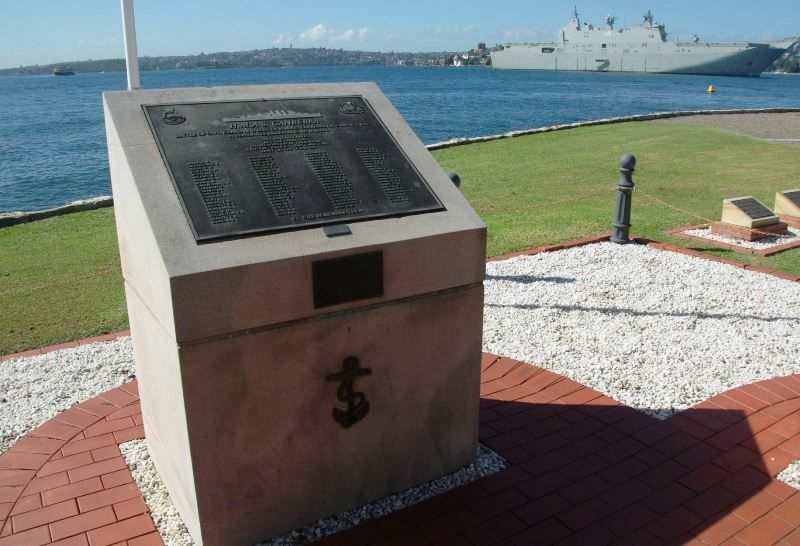 Commissioned as HMAS Shropshire, the ship remained in RAN service until 1949, and was sold for scrap in 1954.